We bring forth vast industrial experience and expertise in this business, involved in offering high quality range . We are betrothed in the business of offering to our customers a distinctive consignment of Weaves Fabric. It is a particular type of hand weaving technique in which the weft threads are looped with the help of an aluminium stick. It takes at least a month to weave a Loop weave shawl. We are involved in offering a quality assured assortment of Satin Weave Fabric. 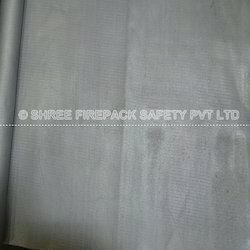 The Satin Weave Fabric we offer is widely demanded amongst the clients for their safe use. These products are known for their availability in various colors. Besides, these products are known for their safe use. We deliver high quality Satin Weave Fabrics. We are highly appreciated for providing excellent quality Satin Weave Fabric to the clients. Our Satin Weave Fabric is known for its durability and color fastness. Satin Weave Fabric, offered by us, is soft in touch and has a perfect finish. 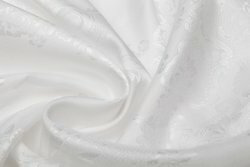 Our Satin Weave Fabric is used in the making of attractive dresses with excellent shine. K. S. Textiles Private Ltd.
Width : 44" / 48" / 54" / 108"
Through research, study and lot of effort, we not only revitalized the antiquated arts of pure zari designs but also the traditional fabric weave that went with it by seeking out and cultivating those who still has the art living in them. These resources now form the base of our complete bridal trousseau that beholds the eye of admirers.